The treated fat cells are crystallized (frozen), then die. Over time, your body naturally eliminates them, leaving a more sculpted you. Rhett Women’s Center brings DualSculpting™ to the Charleston SC area. Two advanced cooling machines freeze the fat at the same time. Target and eliminate twice the fat at one time. Working on two areas at once is a gentle and effective way to get rid of fat in those stubborn areas. Coolsculpting for the double chin is here too! The new CoolMini applicator is uniquely designed for small volume areas of fat. The applicator’s size, shape and curvature is designed to comfortably fit these small, problem areas. Patients may see results as early as 3 weeks, with the most dramatic results generally observed 1-3 months following treatment. This is an excellent alternative to more invasive treatments such as facelifts and liposuction. The CoolSculpting procedure is entirely non-invasive, and patients can typically resume normal activities immediately after treatment. For a limited time, RWC will give 25% or more savings to our current patients only. 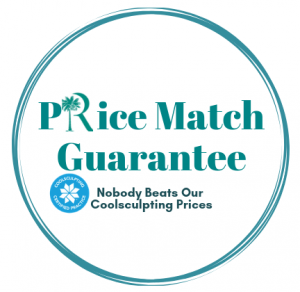 Combine weight management program of your choice with Coolsculpting to save 35%.